Children who display sudden and severe personality and behavioural changes following a common illness such as strep throat could be suffering from neurological conditions rather than mental health issues, a charity has warned. Paediatric Acute-onset Neuropsychiatric Syndrome (PANS) and Paediatric Autoimmune Neuropsychiatric Disorders Associated with Streptococcal Infections (PANDAS) occurs when an infection triggers a misdirected immune response, resulting in brain inflammation. This can lead the child to exhibit symptoms including anxiety, aggressive behaviour, depression and the onset of obsessive-compulsive disorder. William Hewlett, who developed PANDAS at seven-years-old after catching chicken pox (PA/PANS PANDAS UK). The conditions were first recognised in the United States in 1998 where it is estimated as many as one in 200 children could be affected, with the figure believed to be similar in the UK. Treatments to address the underlying infection which causes the symptoms typically include a simple course of antibiotics. Maya Humphries, from the West Midlands, has suffered from strep infections since she was a baby, but at the age of seven, following another bout of the infection, her family noticed a change in her behaviour overnight. Her symptoms included Tourette’s, hallucinations, suicidal thoughts and separation anxiety, along with restricted eating and a fear of being sick. The charity said GPs did not know how treat her and tried looking at each symptom in isolation, suggesting she had anorexia because she was not eating, and anxiety because she did not want to be left alone. Frustrated with the lack of progress after four months, Maya and her family resorted to sitting in Birmingham Children’s Hospital until they agreed to give her an appointment with a neurologist. She was found to have both PANS and PANDAS and her symptoms were settled with a course of long-term antibiotics. However because of the delay in diagnosis and treatment Maya, now 10, still battles with the illness. The charity has also helped William Hewlett, from Romsey, Hampshire, who developed PANDAS at seven-years-old after catching chicken pox. His symptoms developed suddenly and included violent outbursts, hallucinations, not recognising his parents, avoiding food and trouble sleeping. His frustrated family finally came to understand what was wrong with him after someone on a Facebook support group suggested they look into PANDAS. They went on to request a prescription for antibiotics, and they saw drastic improvements within 24 hours. 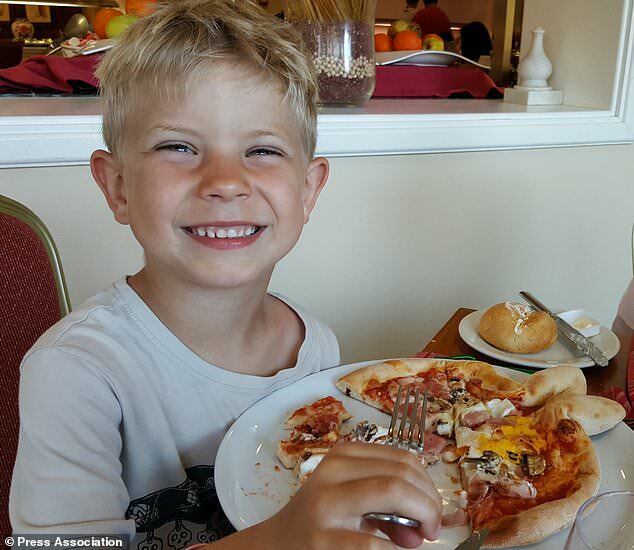 Two private consultants have since diagnosed William, now eight, as having PANDAS but as no one on the NHS has come to the same conclusion, they are unable to pursue long-term treatment and so his family are now relying on homeopathy to manage his symptoms. More than 200 medical professionals and families affected by the condition are expected to attend the first annual PANS PANDAS conference, which has been organised by the charity at Imperial College London on Saturday. They will join the charity in calling for NHS England to support families affected by the condition and discuss options for raising awareness in the UK. It said the World Health Organisation (WHO) has now acknowledged PANDAS but awareness needs to be raised in the UK too. “Parents with children who have PANS or PANDAS regularly find themselves confused, helpless and desperate for someone to support their child. “It is essential that doctors should be alerted to the possibility of psychiatric and neurological disorder triggered by infections. “It was devastating to see our lovely son suddenly change. “None of the diagnoses we were given seemed to fit his unique and strange combination of symptoms. Our son was disappearing before our eyes. “My family suffered for two full years before getting appropriate treatment. Please know that tick borne infections can also trigger this illness. A prominent LLMD in Wisconsin states 80% of his PANS/PANDAS patients have underlying tick borne infections such as Lyme. Notice that a simple course of antibiotics makes all the difference, but similarly to Lyme/MSIDS, if diagnosis and proper treatment is delayed, a person can struggle for years. Since there are various triggers, some being viruses, antibiotics do not always work.